The history marks 23rd June as the World Olympic Day. It dates back to 23rd June, 1948 when the World Olympic Day was celebrated for the first time in the history which got approved and came into practice as an idea of promoting Olympics. Doctor Gruss, the International Olympic Committee member of Czechoslovakia presented his report conferring the idea to celebrate World Olympics Day, in the 41st session of International Olympic Committee that took place in Stockholm. The idea got approval and was adopted and hence, put into practice in the 42nd session of International Olympics Committee, by rendering the National Olympic Committees into charge for the event. Since then World Olympics Day has continued to be celebrated every year on 23rd June. Today the World Olympic Day is associated with the Olympic Day Runs that first began in 1987. Since then, it has been more than 30 years, the legacy continues by Olympic Day Runs all over the world to celebrate the day and signal mass participation by National Olympic Committees. Like-mindedly, the Global Rugby Family is proudly celebrating and honoring the day for the constructive impression it has had on rugby. The spirit of Olympics adds efficacy to the rugby core values, i.e. discipline, integrity, passion, respect and solidarity. The history evidences the fact that ever since rugby as a game has been a part of the Olympics, there has been a lot of awareness, popularity and magnification in the game as compared what it was prior to its inclusion. The number of fans has rapidly increased resulting in the fan engagement inclination massively. Olympic Bronze Medal holder, Ghislaine Landry, the Captain of Canada Sevens, mentioned that back in the days, before Olympics existed, people did not know anything about rugby sevens. Olympics turned out to be a massive game changer for rugby. Bill Beaumont, the Chairman of World Rugby stated that the insertion of rugby in the Olympics has brought a major change in the rugby trends, how they used to be. The inclusion has resulted in awareness and growth of the game itself and the number of fans as well. 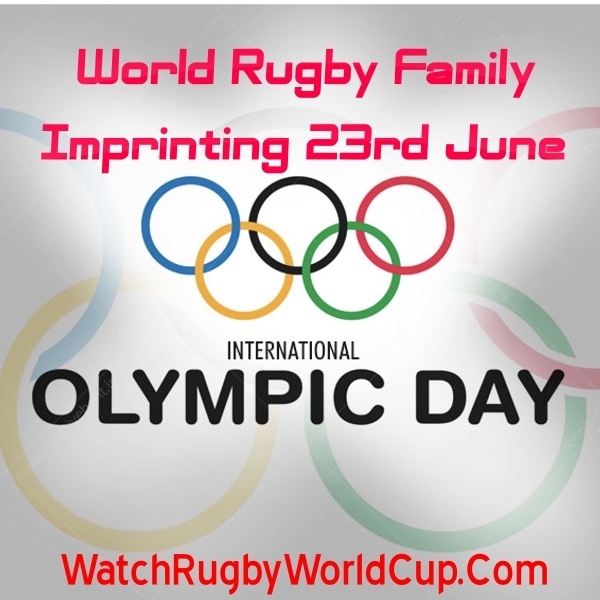 To honor this day, the Global Rugby Family has taken over the social media by imprinting the day as #OlympicDay for celebrating the rugby success stories, to be a part of the Olympic movement. Surveys show that inclusion of Rugby in the Rio Olympics 2016 has increased the rugby fan base by 16.83 million. With this being said, we look forward to see the rugby sevens players thriving and proliferating as teams securing a high minded place in the next Olympic season which is expected in 2020 in Tokyo, Japan. Likewise, we expect the rise in the number of fans to an enormously high level.